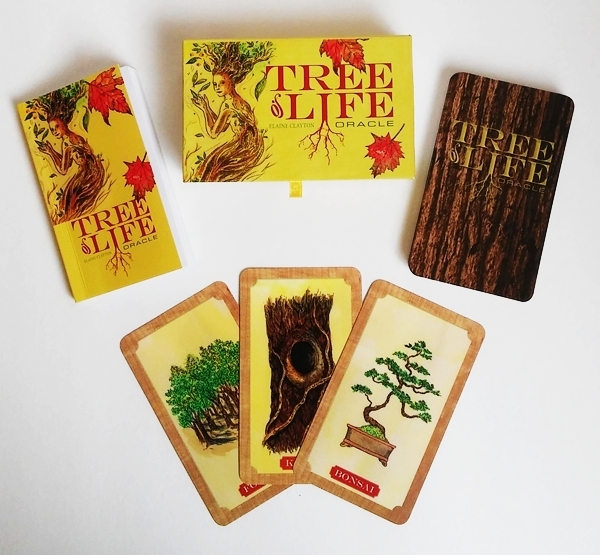 The Tree of Life Oracle is a lovely tree-themed deck by Elaine Clayton. I am a sucker for tree decks, so this was on my must-have list. And now it is a treasured addition to my collection. There are only 30 cards in the deck - I wish there were a bit more, as it is such a good working deck. The deck and booklet come housed in a very sturdy hard-covered magnetized box (something Schiffer does so well). The cards measure 2 7/8" x 4 7/8". The card-stock is thick yet very flexible. The backs are not reversible. They feature the name of the deck on a background of tree bark. Although it is a year-round deck, the coloring gives it a very Autumnal feel (which is my favorite season, thus making that a plus for me). 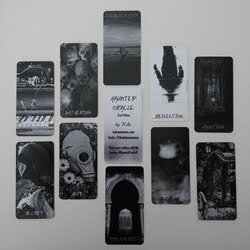 There are many different themes in the deck. 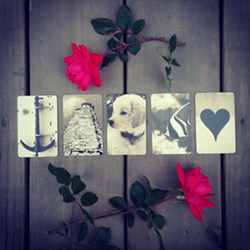 There is a group of people cards (Sapling, Child, Woman, Man, Family, Elder) which describe different stages of life, degrees of youthfulness/wisdom and masculine/feminine attributes. Another theme in the set, which I really love, is the seasonal cards: Spring, Summer, Autumn and Winter. 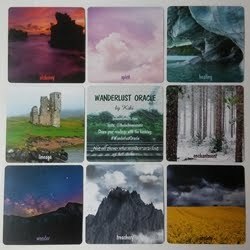 The messages in these cards accurately depict the vibe of each season. Another grouping you will find is one of little bits and pieces (Leaves, Nuts, Seeds, Buds, Twigs). There are no specific types of trees featured in the deck (Willow, Maple, Oak, etc.). All the cards are more generally related to tree ideas. I like the great variety of ideas in this deck, which makes me again wish there were more than 30 cards. A great testament to something is wanting more of it! There is one card in the deck that really stands out, as it is the only one of vibrant color (the gorgeous Moonlight card, shown below). The backgrounds are not the same in each card. A lot of them have varying degrees of a yellow-stained background, some jarringly so. I prefer the look of the cards with the beige backgrounds. 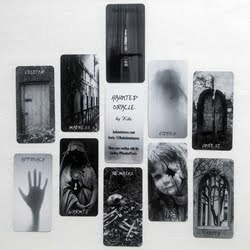 I am almost always drawn to a deck primarily based on the artwork or theme. But if it doesn't read well, then it's just art - not cartomancy. This deck does not disappoint on either front. The first draw I did with this deck, I pulled the Leaves card. I had just come back from a walk where I had gathered a bunch of dead leaves for my son to feed his pet bugs! So right off the bat, the cards offered some synchronicity. The next day I asked about a relationship where there was some miscommunication, and I received the Knot card, which talks of secrets in a relationship... again, very accurate. The day after that, I received the Tree House card, and it related to my thoughts on moving house in the next couple of months. Two days in a row, I pulled the Nest card, which augurs abundance, and I received money and gifts on both of those days! So far, my readings with this deck have always been relevant to my situation at the time. The booklet is 96 pages. The cards are not numbered. Unfortunately, they are not arranged in the booklet in alphabetical order. So to find your card, you first must find it in the Table of Contents (not alphabetical), and then find the corresponding page in the book. I haven't yet read the entire booklet, only the cards that corresponded with the cards I drew during the week. But the passages I did read were very comprehensive, articulate and thought provoking. For each card, there is a black and white image, a subtitle to the card (e.g. Sap: Life Energy; Autumn: Windfall of Memories, etc. ), a handful of keywords and several lengthy paragraphs of information for each card. The descriptions are well thought out and extensive. The booklet is definitely a valuable part of deck set, not one of those LWBs you chuck out. If you are a tree-hugger like I am, you will love this deck. It's well written, beautifully illustrated, gives accurate readings and connects you with the spirit of trees. 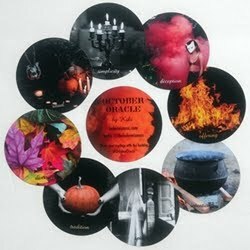 If you like this deck, you might also like to read my reviews on the Tree Affirmation Cards and Tarot of Trees. Any of these three decks would compliment each other well.